The onset of rapid technological advancements, emerging business opportunities, mergers and acquisitions, and the anticipation of crisis situations steer IT organizations to embrace change rapidly. In the wake of such changes, it's imperative that organizations have a powerful change management and implementation policy, without which they stand to lose precious business hours, money, and above all, their reputation. 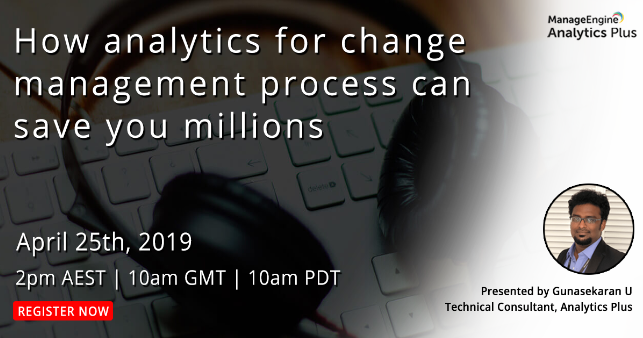 Analytics for change management can help organizations identify vulnerabilities in their change management plan, and offer insight to build capabilities and competencies to implement change effectively.